For the sweet-toothers like me! Try adding dried apricots to a home-made trail mix for a boost of energy, and sweet flavor! 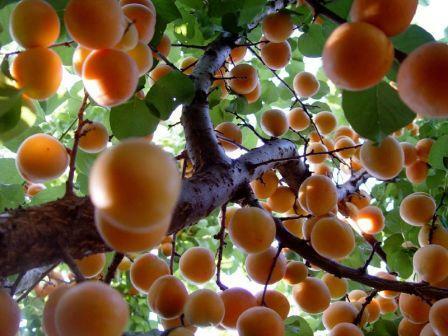 Cooking fresh apricots will increase the carotene and soluble fiber absorption into the body! In a large bowl, combine the flour, sugar, baking powder and salt. In another bowl, combine the eggs, milk and oil; mix well. Stir into dry ingredients just until combined. Fold in apricots and orange peel. Fill paper-lined muffin cups two-thirds full. Bake at 400 degrees F for 15-20 minutes or until a toothpick comes out clean. Cool for 5 minutes before removing from pan to a wire rack. Serve warm.